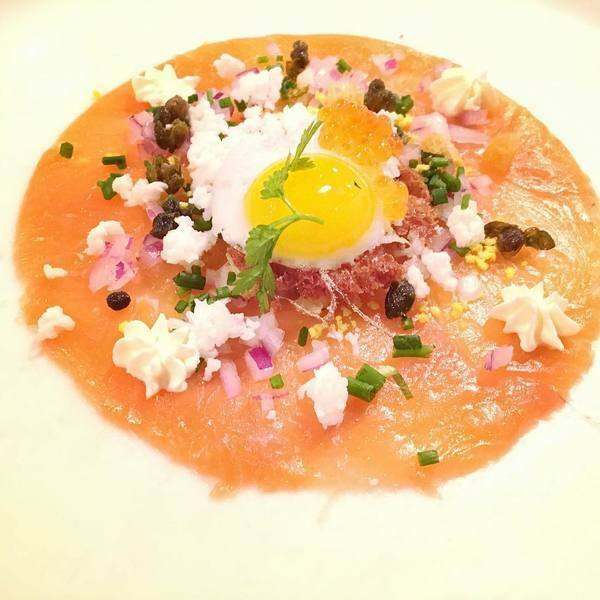 "Smoked Salmon carpaccio, Shaved Red Onion, Crispy Capers, Brioche Crouton, Sunny Side Up Quail Egg, Smoked Trout Roe. New Years Eve Special!! 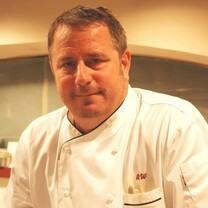 #chefwiedmaier"
Maybe not the vegan kind.